Trunk filled with goods stolen from different businesses. 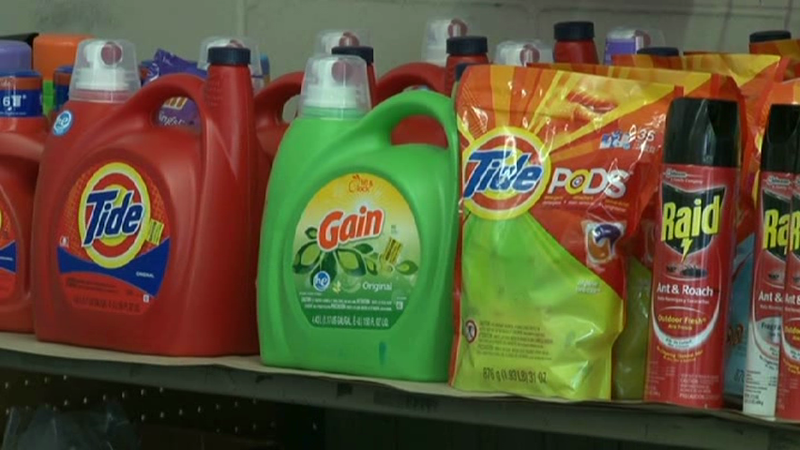 Ocala, Florida — Marion County Sheriff’s Office Detectives – working with other counties – have identified a retail theft ring responsible for large scale thefts of household products, personal hygiene products, and clothing items such as socks, underwear, and T-shirts. This is a well-organized multi-level operation including low-level professional thieves -with lookouts – entering a retail store and snatching enough merchandise to fill a car trunk and the backseat. That merchandise is then “sold” to a mule who might pay with pills or cash. The mule takes it to a “booster” who in turn takes it to a fence, who might sell it on Ebay, Amazon, at yard sales, flea markets, online yard sales or through Facebook. Detectives said it all started when Deputies Snodgrass and Wilkes responded to the CVS located at 17817 SE 109th Avenue, Summerfield in reference to a theft. 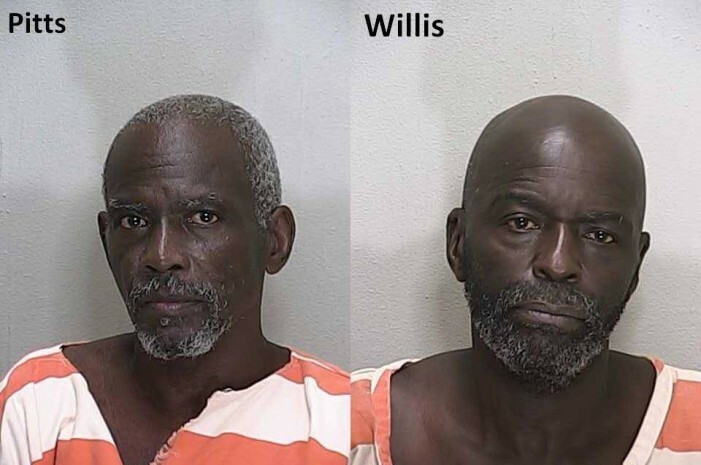 According to reports, when deputies arrived on the scene they observed Charlie Pitts, 65, and Willie Willis, 61, both of Orange County, in the parking lot. Deputies said once Pitts and Willis knew they (deputies) were there the pair began removing bottles from under their shirts and tossing them under vehicles in an attempt to conceal the evidence. Surveillance video obtained from CVS revealed that both suspects were involved in the thefts that had been reported by the store manager. A search of the suspects’ vehicle revealed that the trunk and backseat were filled with stolen products. Lieutenant Brian Dotten with the Marion County Sheriff’s Office said this operation could potentially be a multi-million dollar operation. He said that somebody “at the top” is making a lot of money from this operation. Lieutenant Dotten says the low-level thieves steal small ticket items because it makes it easier for the “fence” to “unload” and the items are much harder to trace, making for a clean get-away. 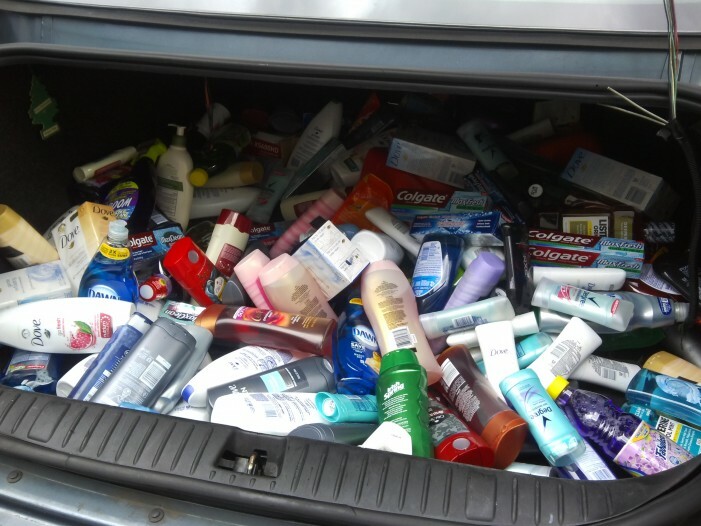 Products found in suspects car. The low-level thieves are usually given a list of products to steal, along with an address of a business to steal from. Lieutenant Dotten said consumers pay the ultimate price when someone commits retail theft. The more a business takes a loss, the higher prices become. A short list of retail stores that have been targeted include: Publix, Dollar General, Family Dollar, CVS, Walgreens, and Walmart. The theft ring spans from Central Florida to South Georgia. Both Pitts and Willis admitted to being part of a larger crime organization and have extensive criminals records dating as far back as the 1970’s. They are currently being held in the Marion County Jail on charges of Tampering With Evidence, Violation of Probation, and Felony Theft From a Retailer. If you know of or suspect anyone of selling similar items on a large scale, you are asked to call the Marion County Sheriff’s Office at 352-732-9111 or Crime Stoppers at 368-STOP or 368-7867. Text tips to 274637 using keyword 368STOP. Tips can also be submitted at www.ocalacrimestoppers.com.